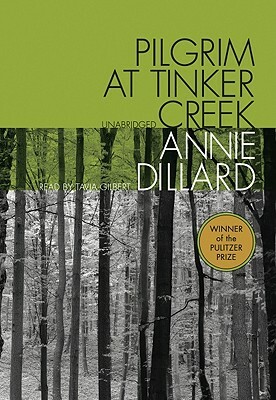 In this classic of literary nonfiction, Annie Dillard takes us through a year of on-foot explorations through her own landscape, bringing anecdotes, curiosities, and insights about all she observes and experiences. In the summer, she stalks muskrats in the creek and thinks about wave mechanics; in the fall, she watches a monarch butterfly migration and dreams of Arctic caribou. She tries to con a coot, unties a snakeskin, witnesses a flood, and plays "King of the Meadow" with a field of grasshoppers. Throughout her wanderings, Annie Dillard's keen observations, poetic sensibilities, introspective reflections, and reverence for her surroundings show us the world outside as we have never seen it before.